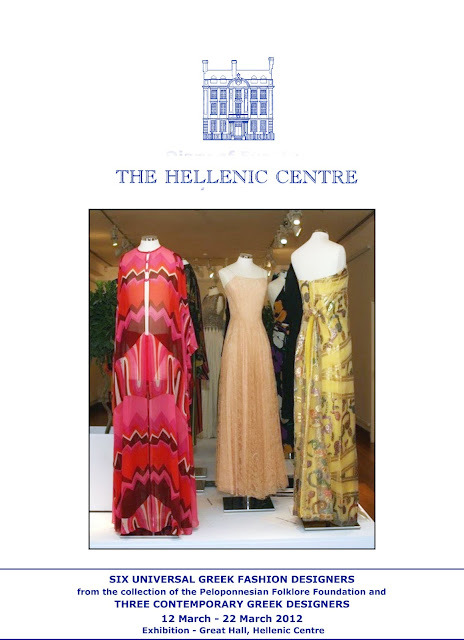 Six Universal Greek Fashion Designers from the collection of the Peloponnesian Folklore Foundation and Three Contemporary Greek Designers will be participating at the exhibition in the Great Hall of the Hellenic Centre in London, 16-18 Paddington Street from Monday 12 March to Thursday 22 March. 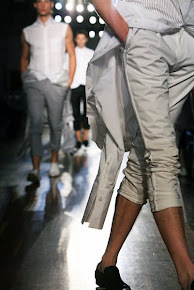 Creations by the international Greek designers Jean Dessès, Yiannis Evangelides, James Galanos, Dimis Kritsas, George Stavropoulos and Yiannis Tseklenis will be complemented by those of the well-known contemporary designers Mary Katrantzou, Sophia Kokosalaki and Marios Schwab. Opening hours: Monday to Friday, 11am-7pm; Saturday and Sunday, 12-4pm. Free entry. The exhibition is dedicated to the memory of Koula Lemos. Sponsored by the A G Leventis Foundation and Members and Friends of the Hellenic Centre. The Hellenic Centre is a vibrant cultural organisation founded in 1994 as a charity, with the aims of providing a focus for the Hellenic community, promoting an awareness of Helllenic culture in the UK and nurturing the unique relationship between Britain and the Hellenic world. The Centre offers a rich programme of lectures, exhibitions, concerts, social events and Greek language courses. The Centre's elegant building dates from the early 1900s and has been sympathetically refurbished to provide a number of meeting and exhibition rooms, the most impressive of which is the Great Hall. The location and its facilities make it also an attractive venue for outside individuals and organisations to hold their events. The Centre is off Marylebone High Street in central London and is easily accessible.